These past few years, I have loved reading about philosophy and learning about the many different perspectives on life. Ever since I was a child I have wondered about why I’m alive and what I am meant to do with my precious life. Of course, in those distant times my mind could not possibly cope with what it can fathom today, and this temporal concept of an ever changing state of mind has become a major interest with me. Researching family trees gives me a buzz. I could do it all day and it wouldn’t bore me, and I’ve found that it gives me the kind of positive energy that I need. At last, I may have found something I am good at! Anyway, with my latest ancestry blog research interest I found an abundance of interesting discoveries, such as prominent men of the cloth, architects and medical practitioners, and wealthy plantation owners in the Carribean, and a possible genealogical link to a certain Mr. Raleigh. Having decided where I was going to look for my next project, I leafed through a general philosophy book I have at home and looked for any British philosophers. I first came across Bertrand Russell, one of the finest and well known, but decided against it, this time, thinking that he’d been probably done by a few genealogists because of his titled ancestry. However, I did notice something interesting about him that I wasn’t aware of. He was born in Monmouth and died at Penrhyndeudraeth. Penrhyndeudraeth! I grew up only a few miles away in Blaenau Ffestiniog. I couldn’t help myself, but an existential thought came over me. I wish I had known about this at such a young and unworldly age ( I would have been 7 when Russell died) so I could be aware of such an eminent philosopher living literally 20 minutes by road. And he must have visited my home town of Blaenau Ffestiniog at some time I’m sure. Then I realised that I am not that 7 year old that grew up with such flippant ignorance, and would not have given a second thought if I had got in his way while shoping with my mother at Kwiksave! I realised that I had transport a wishful thought in the present time into a long disappeared 7 year old state of mind, which had probably more important things to concern itself, such as when was I going to football next or what were The Banana Splits going to be up to this Saturday morning. The 49 year old in me had wished I’d known he was so close that I could pop down for a visit, on the Blaenau-Porthmadog Crossville bus. This was the frightenly fast, automatic thought that entered my head when I found out this piece of information. And at a similar supersonic speed I managed to restore the balance between reality and surreality by realising how absurd that thought was. So, who did I come across next? Which philosopher came second to B.R? Well, when I completed my research on him I was glad that Gilbert Ryle was the one that I chose. Who, may you ask, is Gilbert Ryle? I have to admit I hadn’t a clue who he was or what his philosophical leanings were. I found that he wrote a very influential book called ‘The Concept of Mind’ (1949) and he was the first to coin the phrase ‘the ghost in the machine’. His interest is specifically at the linquistic methods that we use to describe what we see and do, which in turn influences our thinking. Anyway, this is what I found researching his family tree. He was born in August 1900 at Brighton the son of a doctor, Reginald John Ryle, and his wife Catherine. He had a twin sister, Mary, and they were members of a fairly decent sized family. I knew from Wikipedia that Gilbert had a grandfather who became Bishop of Liverpool, giving me an inkling that I wouldn’t be coming across many agricultural labourers or factory workers. And I was right. His forebears were impressive to say the least, of whom I will come to later. I also found out where the name Gilbert came from. He literaly bled the Bible. The respect he had is summed up by the Rev. Richard Hobson who said these words just 3 days after his funeral. He married 3 times. His first wife was Matilda Charlotte Louisa Plumptree who died 3 years after their marriage in 1845. They had one daughter, Georgina Matilda Ryle, born in Hemingham, Suffolk. J.C. Ryle was rector of Helmingham for many years, though only Georgina was born in this county. Reginald and his other siblings, Jessie Isabella, Herbert Edward and Arthur Johnstone, were all born in London. Their mother was John’s 2nd wife, Jessy Elizabeth Walker, whom he married in 1850, in the Newton Abbot district. She died in Suffolk in 1860. So who were J.C. Ryle’s parents? FamilySearch.org comes up with a christening for John, 28 Sep. 1816 at Macclesfield, Cheshire. All I could find at this stage that his parents were John Ryle and his wife Susan. I checked for any siblings for John and I found, Emma Ryle, christened 14 Dec. 1814, Susan, christ. 10 June 1813, Caroline, christ. 7 Dec. 1818, Mary Ann, christ. 11 Feb. 1812 (born 30 Oct. 1811), and Frederick William, christ. 28 Nov. 1820. Apart from John’s entry, all the others stated that Susannah was their mother’s name. This bit of information turned out be really useful later. All christenings were performed at Christ Church, Macclesfield. By finding these entries I could narrow the search for John and Susannah’s marriage. So, another delve into FamilySearch revealed only one possible marriage, an entry that stated that a John Ryle married a Susannah Hurt at Wirksworth in Derbyshire on 6 Feb. 1811. A quick look on Google maps showed me that Wirksworth wasn’t too far away from Macclesfield, so thought it was a possibility and nothing more. What happened next is all too typical when researching family trees and one of the reasons why I love doing this. I thought a general Google search would possibly help me in trying to nail down this marriage I was looking for. One of the top results revealed that there might be a link with someone with the name of Richard Arkwright. I knew that name rang a bell! It was one of those historical names that gets burned into every young student of British history, possibly on a par with the Battle of Hastings. I looked at the 1851 English census hoping that John and Susannah had survived to be on it. I was lucky. There they were living in Hampshire with their daughter Mary Anne, a 39 year old spinster. It revealed that Susannah was born in Cromford, Derbyshire. Something quite epoch making occured at Cromford. It has been labelled as the birthplace of the Industrial Revolution and one of its instigators was Sir Richard Arkwright, famously known for starting the modern factory system, by making spinning cotton more economical and therefore made increasing profits a reality. He utilised the power of water to run his water frame patent. Eventually the power loom was invented and implemented into his factories. It turns out that he ‘borrowed’ the ideas of other inventors, but nevertheless died a wealthy man and a knight. Susannah Hurt came from a wealthy landowning family, more affluent than Arkwright’s ever was. Her father was Charles Hurt who married Richard Arkwright’s daughter, Susannah, a product of his first wife Margaret Biggens, in 1780. So Sir Richard Arkwright was the great grandfather to John Charles Ryle, and great great great grandfather to Gilbert Ryle. The parents of Sir Richard were Thomas and Ellen (nee Hodgekinson) Arkwright and were married on 29 August, 1717 at St Peter’s Church, Liverpool. Thomas was a tailor from Preston, and in his youth Richard was an unsuccessful barber and maker of wigs! Gilbert Ryle’s mother was Catherine Scott and through her genealogical line he has some notable ancestors. Viewing the 1871 census I found that her mother, Georgina, was already a widow before she was 51. In fact her husband, Samuel King Scott, a doctor, had died from the after effects of a heart attack on the 9th June 1865. Click here to see his obituary. Samuel King Scott married Georgina Bodley on the 14th May, 1846 at Hove, Sussex. I will address her family later. According to FamilySearch, Samuel was christened at Gawcott, near Buckingham on the 3rd Jan, 1819. His other siblings were George Gilbert (1811), Euphemia (1812), Nathaniel Gilbert (1814), Elizabeth King (1815), William Langton (1817), Mary Jane (1821), Anne (1822), Elizabeth (1824) and Melville Horne (1827). The parents of all these grandly named children were Thomas and Euphemia (nee Lynch) Scott. You may recognise the first born. George Gilbert Scott was a well known and one of the most influencial and prolific English architects and a luminary of the gothic revival in architecture. If you walk down the streets of London, no doubt you will go past at least one of his buildings. I like to think of him as the original conservator of English heritage and without his work many buildings we cherish today would have surley been lost. Rather than write all of his creations down here, it might be a better if you click on his Wikipedia page. He was buried at Westminster Abbey, among the most famous and royal. His father, Thomas Scott was a preacher just like his famous father, another Thomas Scott, and a minister at Ebberton near Olney, Buckinghamshire. Thomas Scott senior was nicknamed ‘Bible Scott’ and often referred to as ‘Scott the Commentator’ and wrote the books ‘A Commentary On The Whole Bible’ and ‘The Force of Truth’. He was born in Lincolnshire on Feb. 16 1747 and married Jane Kell whom he met when he moved to Buckinghamshire. He had a rough upbringing by all accounts and when he became a man of God he made sure that his sons got a better education. Three went to Cambridge for their degrees. Returning to Thomas Scott the younger, he married Euphemia Lynch at Bledlow, Buckinghamshire on 25 Mar. 1806. This is the point where my research ventures overseas. I find that Euphemia was born in Antigua on 13 Jan. 1785, and was the daughter of Dr Thomas Lynch and Euphemia Gilbert. 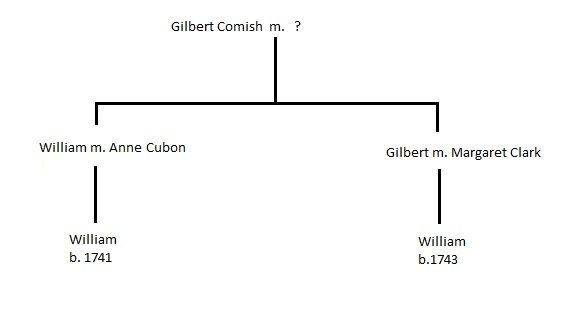 The Gilberts were wealthy land owners in the Carribean and were strong Wesleyan Methodists. Most probably this Thomas Lynch was related to another Thomas Lynch who was a governor of Jamaica in the 17th century. Euphemia Gilbert was the daughter of Nathaniel Gilbert and Elizabeth Lavington. This Nathaniel Gilbert was probably the minister of Sierra Leone, a position he shared with the Rev. Melville Horne. Now we know why one of Samuel King Scott’s brothers was named Melville Horne Scott on 1 May, 1827. I dare say the other middle names for the children of Thomas and Euphemia Scott came from prominent churchmen of their time of which their families were part of the religious circle. Also, the Gilberts thought that they were the descendents of Sir Humphrey Gilbert (1539-1583), a half brother of Sir Walter Raleigh. I’ve gently dipped into this claim and as of the time of writing I haven’t found the connection, but it’s certainly worthy of further, detailed research. There seems to be a lot of connections with doctors, architects and the church in Gilbert Ryle’s family. It’s an interesting mix and I feel that it’s totally complimentary. Churchmen would certainly have had an input in the design or additions of their churches, becoming symbols of their love to God and all he stands for. Also, the architect has the opportunity to produce a unique building, perhaps representing the one and only God that they worship. And doctors take on the role of the saviour of men, women and children, preserving their lives so that they can carry on becoming God faring citizens of society. Samuel King Scott‘s son Bernard (born c.1858) became a surgeon and his daughter Elisabeth became an architect. One of her designs was the Shakespeare Memorial Theatre at Stratford-Upon-Avon, which had mixed reviews. George Bernard Shaw liked it but Sir Edward Elgar publically admonished it. “Sir Edward Elgar, then 75, was to be the theatre’s new musical director but, after visiting the building, he so was furiously angry with that “awful female” and her “unspeakably ugly and wrong” design that he would have nothing further to do with it, refusing even to go inside” (Wikipedia, from Beauman (1982: 100), quoted in Stamp (2004). However, Elisabeth Scott was a pioneer in the cause of women becoming accepted as architects, and before her death in 1972 she worked with Bournmouth Borough Council. Another Scott family member in the architect business was George Gilbert Scott jnr (1839-1897), son of Sir George Gilbert Scott who designed buildings at various Cambridge Universities and St John the Baptist Church, Norwich, now a Roman Catholic Church. Some of his best work was detroyed during the Blitz. He had an unfortunate and sadly ironic end. After a spell in France which he went to recover from alcoholism and mental ill health, he returned to work in England, but died in a room at the Midland Hotel, St Pancras Railway Station, a building his father designed. His sons, Giles Gilbert and Adrian Gilbert Scott both worked on the Anglican Liverpool Cathedral. In fact for a brief time he was in collaboration with George Frederick Bodley, whose sister, Georgina, had married Samuel King Scott. This brings me nicely to this lady just mentioned. Georgina was the daughter of Willian Hulme Bodley and Mary Ann Hamilton. William was a physician (another doctor!) and hailed from Hull. This has been my most detailed assignment so far, but there has been a vast amount of interesting connections and notable people to write about in Gilbert Ryle’s ancestry. You can see him discuss his theories on the mind and how we use language to shape our concepts. A bit heavy at times but guaranteed to make you wonder about how we described things to each other, whether its correct or nonsense. To be honest I have taken more time trying to understand what Gilbert Ryle was actually theorising about than the time taken to construct his family tree. I think I know what he means, but don’t ask me to explain it though! Rooms for Rent – Only Shetlanders Need Apply! The title of this post might seem bizzare at first but all will be revealed later. 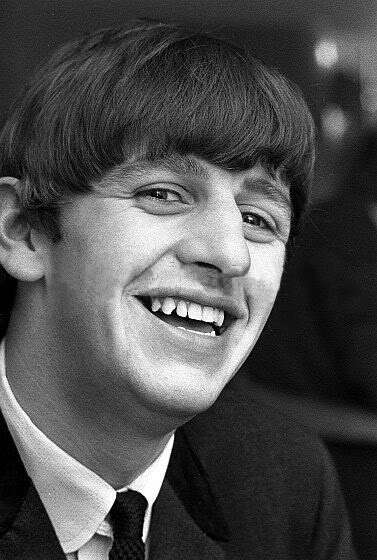 Researching Ringo Starr’s family tree has been a joy to do because for me it offered up something different in that I was surprised at what I found. Fortunately I discovered that Nick Barratt had already researched Ringo’s family history for an article for the Telegraph, and I was glad that there were areas that he had not covered. Checking this out saved me a lot of work. Another stroke of luck was the abundance of original images of records that Ancestry had. I applaud their efforts in trying to make available as much original stuff as possible (and it keeps growing), but it is a hit and miss affair whether the record you’re after will be found. With my research on Ringo’s roots I was lucky to find more than usual and became useful in the tree progressing. 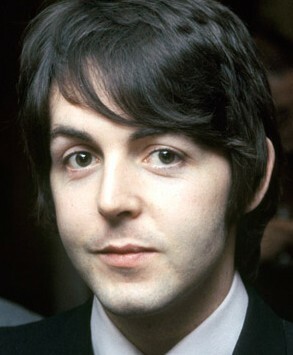 I looked at the Starkey line, Ringo’s real surname, knowing that Nick had found difficulty in making much headway with it, and the best I could do was find the marriage image for John Parkin Startkey and Annie Bower, Ringo’s paternal grandparents, which at least had the name of John’s father as Henry Parkin Starkey. However, Henry and indeed John are very elusive and my week long research was not sufficient to find out who they were or where they lived. 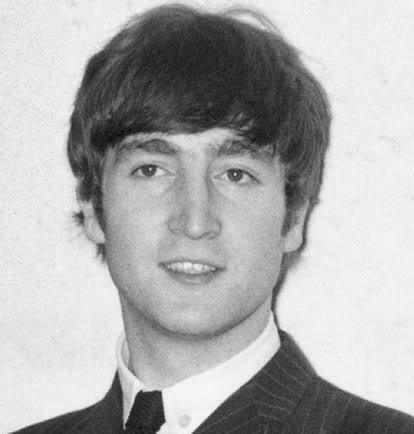 I concentrated on a line that was not apparant with the research from Nick Barratt, namely Ringo’s maternal grandmother, Catherine Martha Johnson. She was baptised at St Thomas’ Church, Toxteth Park on 17 May 1891 (born on 25 Apr., 1891) to Andrew and Mary Elizabeth Johnson of 37 Gaskell Street. Andrew’s occupation was put down as a sailor. They were married at the same church on 14 April, 1875, Andrew stating he was a mariner just like his father Peter. This excited me a bit because I am fascinated by anything to do with the sea, probably because I have mariners on my mother’s side. Mary Elizabeth Cunningham father, James was a gardener. Finding them in the 1891 Census revealed that Andrew was born in the Shetland Isles and Mary hailed from Ireland. So I thought, how hard is it going to be researching someone from the Shetlands? What records can I find? Andrew was my first Shetland Islander and I wasn’t sure if I could progress. I knew that researching Mary would probably come to a halt because of the scarcity of available Irish records, and it would plain luck if I did find something. So I began looking and was pleasantly surprised how much I could find thanks to the FamilySearch site. But before trying to peel away the hidden generations of Andrew I wanted to find out when he came to Liverpool, and whether he had a childhood there. Was it Peter who came down looking for seafaring work or would I find him settled in alittle cold corner of the Isles that are called Shetland. So I looked in the 1871 census hoping to find either Andrew or Peter. What I found was truly amazing. Andrew Johnson was 39 in the 1891 census, so I knew I was looking for a nineteen year old Andrew. Boarding at what appears on the census sheet as 43 Upper Pitt Street was not only Andrew but a whole bunch of Shetland Islanders! Including Andrew eight in all, and an Ursula Johnson, 17, and a servant at the household. Could this be a relation of Andrew’s? It was run by a William and Agnes Thompson, both in their 60’s, and Edward seemed to be still active as a mariner. Then it was time to get educated about Shetland. The hunt for Andrew’s family was on. Andrew Johnson born 2 Jan., 1852, christened 26 Jan., 1852 at Delting, Shetland, Scotland. Parents: Peter Johnson and Philias Tait. Now I wasn’t aware that those far off islands were a part of Scotland, and at first I thought that they might have had their own census. Thankfully I had access to the Scotland census, transcribed, but nonetheless useful resource. I wondered if I could find who Ursula was. Ursula Johnson born 27 October, 1853, christened 10 Jan., 1854 at Delting, Shetland. Parents: Peter Johnson and Philias Tait. Where Peter was I don’t know, and to be honest I didn’t look too hard. I was more concerned with going back in time and finding Ringo’s Shetland great-great-great grandparents. In the 1851 Scotland census we find Peter and Phila (probably Phillis) are at 15 Burns Lane, Lerwick visiting the Hutchinson’s, a mother and daughter whose occupation were knitters. Over at Delting we find their first born (I presume) Mary Johnson living with grandparents Magnus and Ursula Johnson, and their son Laurence. Magnus is an incredible 87 years old and his wife considerably younger and a sprightly 63, and it would not surprise me with such an age difference, if she was his second wife. In fact FamilySearch comes up with a marriage between a Magnus Johnson and Wrcilla I on 30 Sept. 1806 at Delting and a Magnus Johnson marring a Robina Henry on 12 Jan 1792, again at Delting. Could this be the same man? Finally, I found Peter Johnson’s baptism record. Ringo’s great-great grandfather was christened on 28 May 1824 at Delting, born 20 May the same year. Being christened only a week after birth suggests that he didn’t have the healthiest of starts and that his parents were not sure of his survival. Could I go further in time? Using the databases of FamilySearch there is a possibility that I may have. There is an entry for a Magnus Johnson christening for 6 March 1766 at Delting, with a Lawrence Johnson as the father. Could this be Ringo Starr’s great-great-great-great grandfather? And what about Ursula, Magnus’ wife? Well, I found a christening for a Ursula Jameson for 24 December, 1788 at Fetlar, Shetland which could be her. Going back to that Liverpool boarding house ran by the couple from Shetland there was also William Thompson’s mother-in-law, a grand old lady of 89 and also hailing from Shetland, named Elizabeth Jameson. Could she have a familial link to Andrew and Ursula and giving us an answer to why they were there?